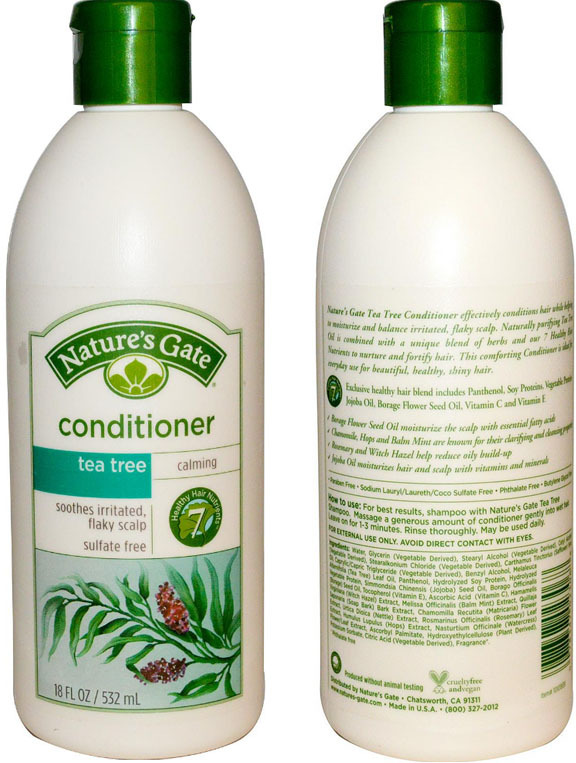 Nature's Gate Tea Tree Conditioner effectively conditions hair while helping to moisturize and balance irritated, flaky scalp. Naturally purifying Tea Tree Oil is combined with a unique blend of herbs and our 7 Healthy Hair Nutrients to nurture and fortify hair. This comforting Conditioner is ideal for everyday use for beautiful, healthy, shiny hair. For best results, shampoo with Nature's Gate Tea Tree Shampoo. Massage a generous amount of conditioner gently into wet hair. flower/leaf extract, ascorbyl palmitate, hydroxyethylcellulose (plant derived), potassium sorbate, citric acid (vegetable derived), fragrance*.